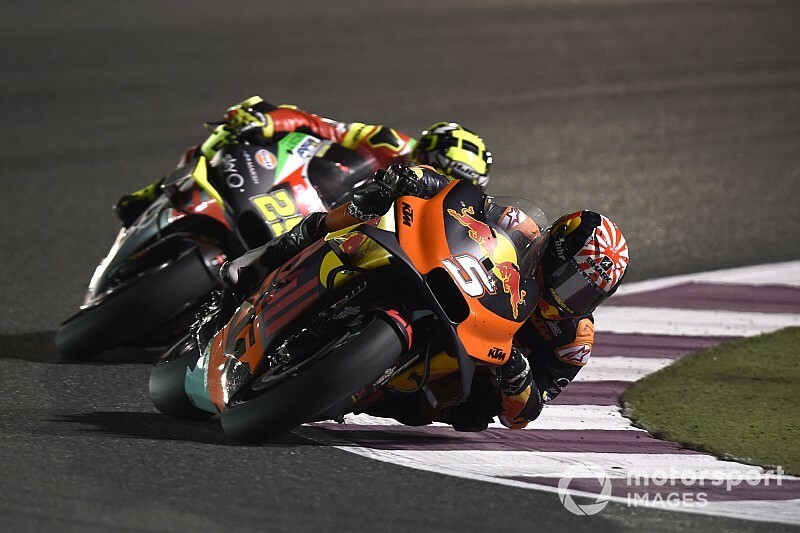 Johann Zarco has admitted that his crashes during his debut MotoGP weekend with KTM in Qatar made him feel like he "doesn't know anything about bikes". While the Frenchman's target for his first race with the Austrian marque was a top-10 finish, Zarco lined up 21st on the grid and went on to score a single point in 15th. Zarco had struggled in practice in particular, and crashed twice on Saturday, once in FP3 and then in qualifying, which he said made him feel like he didn't know what he was doing. 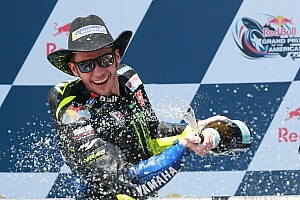 "I was disappointed a few times and really sad yesterday [Saturday] after my two crashes," he said. "It was cold and I was crashing like a rookie - not even like a rookie, just like a guy who goes to a track and doesn't know anything from the bike. "That made me sad, but today [Sunday] it's already deleted." Zarco said that finishing 15th gave him a "symbolic point" for his debut with KTM. While he felt that KTM performed better than expected, the Frenchman also "accepts" that the RC16 isn't a winning package right now. "It's like a symbolic point, 15th position - it has been a hard race," he added. "I knew I cannot have the package right now to make high performance, but I know it, I accept and I push myself. "I think even all the KTM, we got better ways than what we could expect. And the gap [to the winner Andrea Dovizioso] at the end, 15 seconds, is not ridiculous. 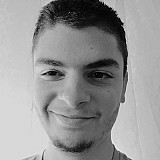 "It bring us some good vibes to look forward. It is part of the experience, and 22 laps in a row, in the end it was the first time we do. "It is really important to do it, and finish the race, because from that I have now a factory team and that's the quality that during the two weeks they will make strong analysis." Zarco's teammate Pol Espargaro, who finished 12th, said he had "mixed feelings" about his result. 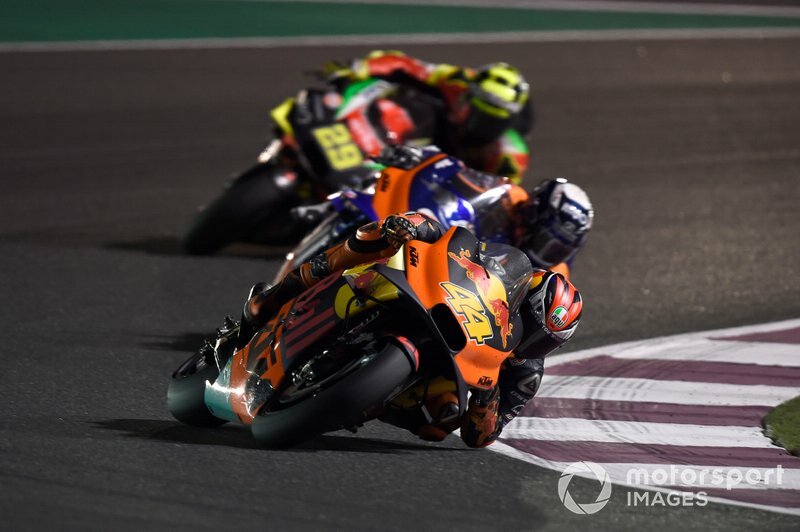 He highlighted KTM had more then halved its deficit to the winning rider in Qatar since 2018, with the Spaniard finishing only 12 seconds behind Dovizioso, but admitted the position is "not enough". 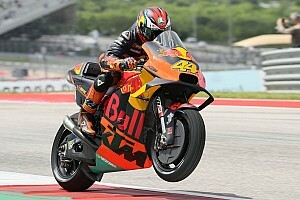 "We must be happy because the gap between us and first is minimal," said Espargaro. "We’ve been really close, but at the same time we finish 12th. Feels good, but also feels like not enough. 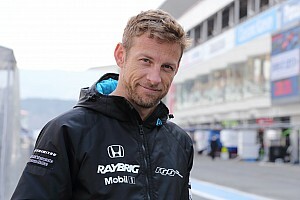 "When you are close you start to look at the top guys and you start to think what’s going on and where we are losing such a small gap per lap. "I think we are talking 0.3s or 0.4s per lap. 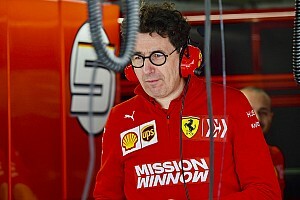 It’s not much, but we are losing it in some acceleration [zones], we’re spinning quite a lot, and losing that small gap is painful."